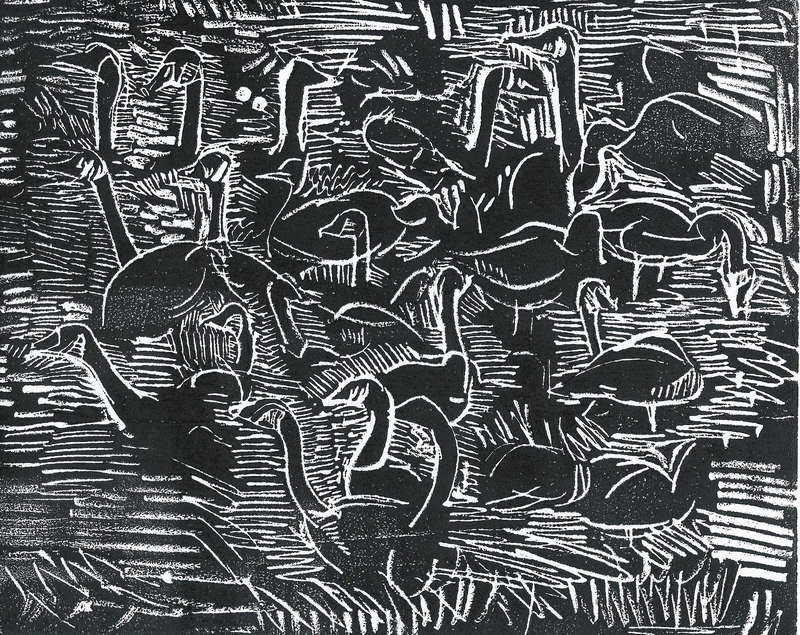 This entry was posted in Fall & Winter Diary and tagged Art, blog, Canada Geese, drawing, faith, geese, inspiration, Jacqueline Perry, Mississippi River, Nature, Nature Explore, printmaking, Spiritual, spiritual practice. Bookmark the permalink. What a wonderful metaphor! I can’t wait to share it with Jarrod, and then go to watch it happen. I love this picture. At first, it was difficult to see what the drawing was of, and so I read the description. Then I looked again, and saw it. It was like that puzzle that you have to look for the word JESUS in. Now, I see it even more clearly than if I had known what it was before reading. It’s beautiful! Thank you for sharing.